Robots Are Developing Feelings. Will They Become “People”? When writing the screenplay for 1968′s 2001, Arthur C. Clarke and Stanley Kubrick were confident that something resembling the sentient, humanlike HAL 9000 computer would be possible by the film’s namesake year. That’s because the leading AI experts of the time were equally confident. Clarke and Kubrick took the scientific community’s predictions to their logical conclusion, that an AI could have not only human charm but human frailty as well: HAL goes mad and starts offing the crew. But HAL was put in an impossible situation, forced to hide critical information from its (his?) coworkers and ordered to complete the mission to Jupiter no matter what. “I’m afraid, Dave,” says the robot as it’s being dismantled by the surviving astronaut. If humans had more respect for the emotions that they themselves gave to HAL, would things have turned out better? And will that very question ever be more than an experiment in thought? The year 2001 came and went, with an AI even remotely resembling HAL looking no more realistic than that Jovian space mission (although Elon Musk is stoking hopes). The disappointment that followed 1960′s optimism led to the “AI Winter”—decades in which artificial intelligence researchers received more derision than funding. Yet the fascination with humanlike AI is as strong as ever in popular consciousness, manifest in the disembodied voice of Samantha in the movie Her, the partial humanoid Eva in Ex Machina, and the whole town full of robot people in HBO’s new reboot of the 1973 sci-fi Western Westworld. 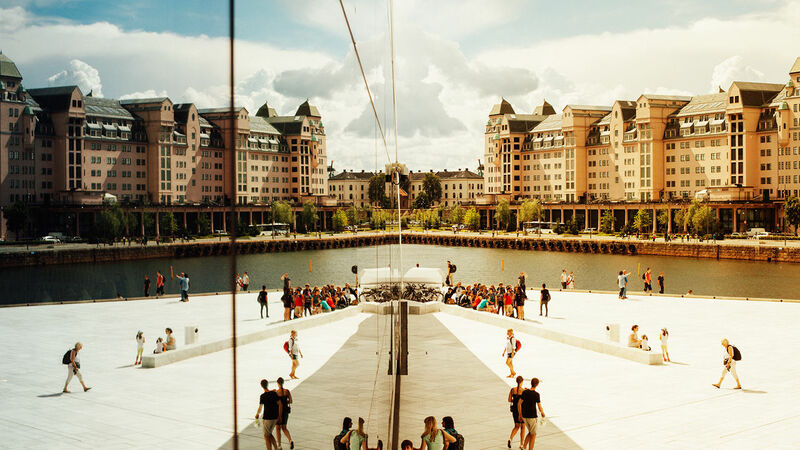 Today, the term “artificial intelligence” is ferociously en vogue again, freed from winter and enjoying the blazing heat of an endless summer. AI now typically refers to such specialized tools as machine-learning systems that scarf data and barf analysis. These technologies are extremely useful—even transformative—for the economy and scientific endeavors like genetic research, but they bear virtually no resemblance to HAL, Samantha, Eva, or Dolores from Westworld. Yet despite the mainstream focus on narrow applications of artificial intelligence—machine learning (à la IBM’s Watson) and computer vision (as in Apple’s new smart Photos app in iOS 10)—there is a quiet revolution happening in what’s called artificial general intelligence. AGI does a little bit of everything and has some personality and even emotions that allow it to interact naturally with humans and develop motivations to solve problems in creative ways. Instead of focusing efforts on one or a few superhuman tasks, such as rapid image analysis, AGI puts humanlike common sense and problem-solving where it is sorely lacking today. AGI may power virtual robots like Samantha and HAL or physical robots—though the latter will probably look more like a supersmart Mars rover than Alicia Vikander, the actress who plays Ex Machina‘s alluring, deadly Eva. As AGI grows more sophisticated, so will the questions of how we should treat it. We’re still a long way from that. Rosenbloom’s AI platform, called Sigma, is just beginning to replicate parts of a human mind. At the university’s Institute for Creative Technologies (ICT), he shows me a demonstration in which a thief tries to figure out how to rob a convenience store and a security guard tries to figure out how to catch the thief. But the two characters were just primitive shapes darting around a sparse 3D environment—looking like the world’s dullest video game. Robots aren’t people, but the discussion has begun about whether they could be persons, in the legal sense. In May, a European Union committee report called for creating an agency and rules around the legal and ethical uses of robots. The headline grabber was a suggestion that companies pay payroll taxes on their robotic employees, to support the humans who lose their jobs. But the report goes a lot deeper, mostly setting rules to protect humans from robots—like crashing cars or drones, or just invading privacy. Adding emotions isn’t just a fun experiment: It could make virtual and physical robots that communicate more naturally, replacing the awkwardness of pressing buttons and speaking in measured phrases with free-flowing dialog and subtle signals like facial expressions. Emotions can also make a computer more clever by producing that humanlike motivation to stick with solving a problem and find unconventional ways to approach it. Rosenbloom is beginning to apply Sigma to the ICT’s Virtual Humans program, which creates interactive, AI-driven 3D avatars. A virtual tutor with emotion, for instance, could show genuine enthusiasm when a student does well and unhappiness if a student is slacking off. “If you have a virtual human that doesn’t exhibit emotions, it’s creepy. It’s called uncanny valley, and it won’t have the impact it’s supposed to have,” Rosenbloom says. Robots can also stand in for humans in role playing. ICT, which is largely funded by the U.S. military, has developed a training tool for the Navy called INOTS (Immersive Naval Officer Training System). 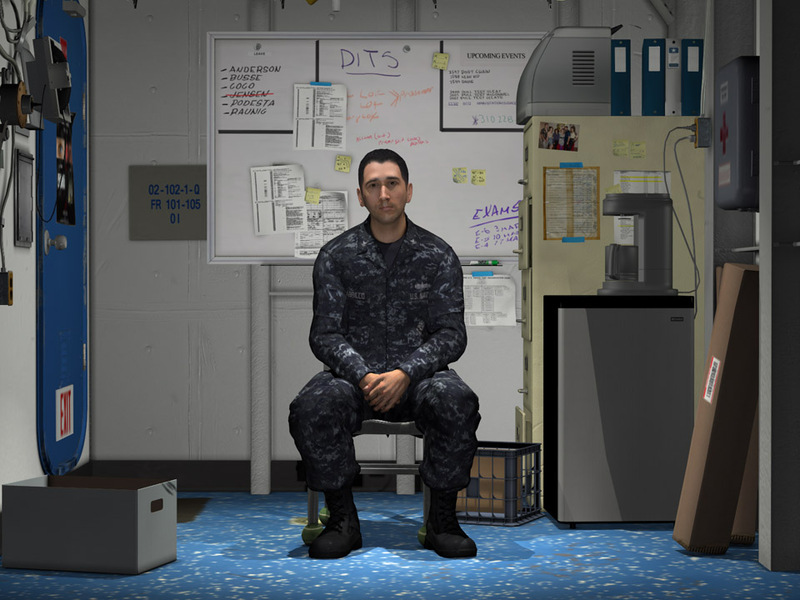 It uses a virtual human avatar in the form of a sailor, Gunner’s Mate Second Class (GM2) Jacob Cabrillo, in need of counseling. Junior officers speak with Cabrillo, who is based on 3D scans of a real person, in order to practice how they would counsel people under their command. About 12,000 sailors have trained in the program since it started in 2012. INOTS draws from a deep reserve of canned replies, but the troubled sailor already presents a pretty convincing facsimile of real emotion. A good example is the Japanese store robot Pepper, the first robot designed to recognize and respond to human emotions, but it’s pretty basic. By analyzing video and audio, the adorable bot can recognize four human emotions: happiness, joy, sadness, and anger. Pepper tailors its responses in accordance, making chitchat, telling jokes, and encouraging customers to buy. More than 10,000 of the robots are at work in Japan and Europe, and there are plans to bring them to the U.S. as well. This ability could make more capable autonomous robots that can think for themselves when unforeseen obstacles arise far from home, like on Earth’s sea floor, on the surface of Mars, or in the ocean under the icy surface of Jupiter’s moon Europa (where scientists believe life may exist). HAL may yet get to Jupiter, and before the humans. “Part of the whole emotional system are what are called appraisals,” says Rosenbloom. “They’re: How do you assess what’s going on in various ways so you can determine the kind of surprise and the level of surprise and the level of danger?” Those appraisals then lead to more emotions in a process of reacting to the environment that’s more flexible and creative than hard, cold logic. “[Emotion is] there to force you to work in certain ways which you don’t realize the wisdom of, but over the development of your species or whatever, you determine it’s important for your survival or success,” he says. Will It Ever Be “2001″? Others say a conscious AGI will never happen. “It’s a pretty high bar to say something actually has a right,” says Patrick Lin, director of the Ethics + Emerging Sciences Group at California Polytechnic State University. “Today, we would think that in order to have a right, you would have to be a person.” Lin cites the work of philosopher Mary Anne Warren, who listed five demanding criteria for personhood: consciousness, reasoning, self-motivated activity, capacity to communicate, the presence of self-concepts, and self-awareness. Warrren’s criteria are tricky, though. She used them to make the moral case in favor of abortion, saying that a fetus exhibited none of these abilities. Clearly, many people disagree with her definition of personhood. Also, Warren said that at least some, but not necessarily all, of these criteria are required. An AI with emotional drivers could reason, be self motivated, and communicate. Having consciousness and self-awareness are the intellectual and philosophical stumbling blocks. Lisa Joy, who co-created Westworld with Nolan (her husband), agrees that we have a poor understanding of consciousness or sentience. “One of the most consistent defining qualities of sentience is that we define it as human, as the thing that we possess that others do not,” she says with a chuckle. Lin, holding to the point that only persons have rights, nonetheless recognizes certain responsibilities toward other creatures. “Just because you have a duty does not imply a right,” he says. “I can talk about a duty not to kick my cat without claiming that my cat has rights.” This could carry over to a robotic cat or dog as well. Even if it isn’t alive, in the traditional sense, there’s a duty not to abuse it. Or is there?